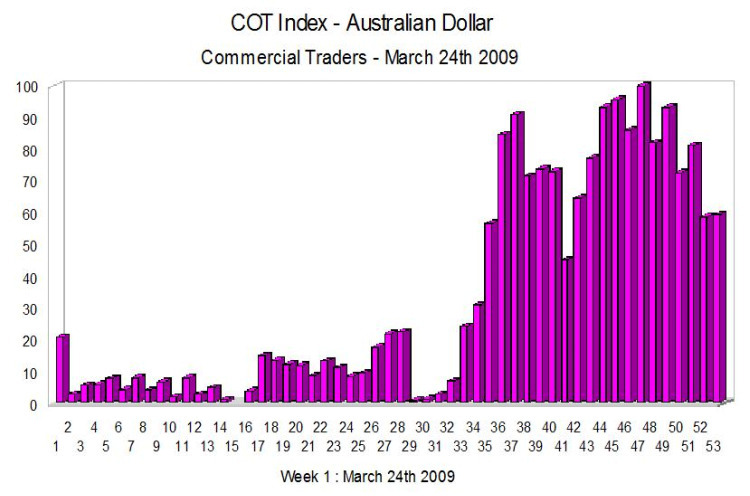 The Australian Dollar Cot data is very interesting this week as there appears to have been a major transfer of future contracts by the commercial holders who are now net short. This is not unprecedented and happened at the end of last year. This does not necessarily signal a long term change in sentiment, merely a response to current market conditions and does not alter my bullish long term of the Aussie Dollar, confirmed to some extent by the weekly chart which is now showing a double bottom. However, in the short term we may see prices continue to fall this week following the shooting star of last week. You can keep up to date with fundamental news on the economic calendar by simply following the relevant links.